The Quincentenial Foundation Museum of Turkish Jews - WE LIT THE HANNUKKAH CANDLES FOR "HOPE"
WE LIT THE HANNUKKAH CANDLES FOR "HOPE"
We celebrated the 3rd day of Hannukah (Feast Of Lights) on 27 December Tuesday evening. 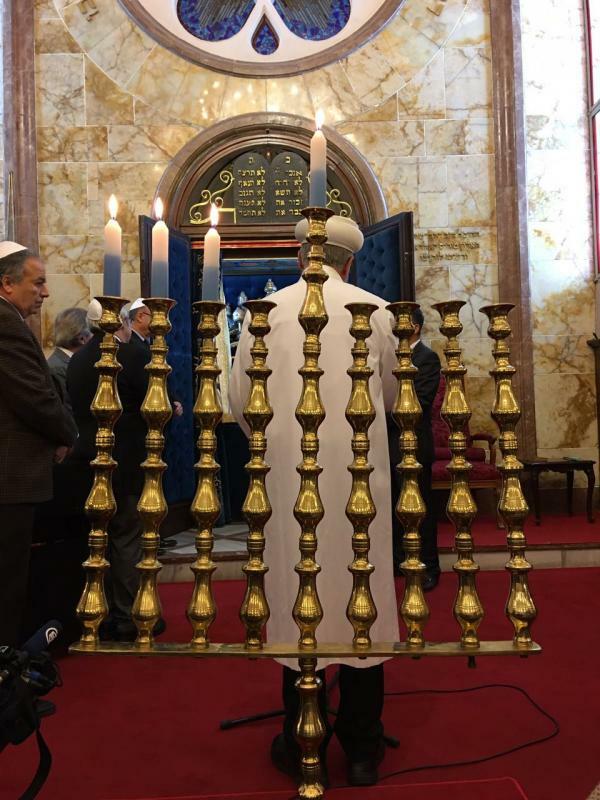 On the 3rd day of Hannukah, with the participation of The Mayor of Beyoglu Mr.Ahmet Misbah Demircan, Chief Rabi İzak Haleva and Manager of Culture of the city of Istanbul Mr.Nedret Apaydın, we lit the candles in Neve Shalom Synagogue all together for ‘‘hope’’. Following the Sabi Şamarya and Bike Öner recital and Cem Kaston singing his self-composed Hebrew songs, the event was closed with lighting the candles with Anoten Prayer.